In earlier posts, I claimed that the now-familiar notion of empiricism was first introduced by Immanuel Kant and that it was not in use in the early modern time. However, Kant contrasts “rationalists” and “empirics” in one area in which it was customary for German writers to distinguish people who relied on experience with those who relied on reason, namely, politics. Dozens of early modern German authors distinguished between empirical politicians and rational, dogmatic, or speculative politicians. Did the pre-Kantian distinction between empirical and rational politicians provide a significant source of the Kantian distinction between empiricist and rationalist philosophers? To answer this question, let us look at the contexts in which early modern German writers typically mentioned empirical politicians. It is only in the first decades of the seventeenth century that politics appeared as an autonomous academic discipline in the German faculties of arts. Its early exponents were preoccupied with establishing its importance and autonomy against those jurists, like Jean Bodin, who regarded it as a part of jurisprudence, identified the good politician with the good legal expert, and denied that there was any need to introduce the study of politics within the arts faculty, in addition to what one could learn in the course of legal study. To this end, academic writers on politics stressed that it is more than a mere set of practical precepts. Politics is a doctrina based on general principles which one must learn to acquire the political virtue par excellence, political prudence. In this context, the phrase “empirical politician” was used to designate and criticize those politicians as pseudo-politicians who rely only on experience, without knowing the doctrine of politics. By the second half of the eighteenth century, the discipline of politics experienced a transformation that placed empirical politicians in a far better light. What used to be the theoretical and general part of politics was now dealt with within the discipline of universal public law (ius publicum universale). Politics became mostly concerned with identifying the best ways to govern and the most effective practical means to achieve aims established by universal public law. The necessity of being versed in a demonstrative philosophical doctrine for being a good politician was no longer obvious and discussions of the requirements for political prudence had largely been supplanted by discussions of the more fashionable and pragmatic topic of reason of State. It is in this context that Kant contrasts empirics and rationalists in politics, criticizing the former and stressing the importance for politics to be conducted in light of the philosophical foundations of public law. Kant’s references to empirics and rationalists in politics show that the distinction between these two kinds of politicians and the notion of political empiricism were well known when the distinction between empiricist and rationalist philosophers was first introduced. However, there are only tenuous similarities between these distinctions. Empiricists and rationalists take opposite stances on the origins of cognitions and foundations of knowledge, the former appealing to experience and the latter appealing to the a priori. Empirical politicians too relied on experience. However, their reliance on experience was not contrasted with the reliance on the a priori, whether in the form of a priori reasonings or of non-empirical cognitive faculties such as rational insight. It was contrasted with the «precepts of doctrine and rules derived from the learned schools» (Faber), on whose basis dogmatic or rational politicians justified their views and actions. Dogmatic politicians would bear a significant resemblance with rationalist philosophers if the doctrines on which they rely were established a priori, independently from experience. However, the role of experience in the establishment of principles was the object of significant divergences between early modern authors, including the Aristotelians. According to some authors, principles could not be warranted independently from experience. Additionally, what role experience had in the establishment of political doctrine was never at stake in the characterizations of dogmatic politicians. Politicians qualified as dogmatic if their views, actions, and political prudence relied on a doctrine, regardless of its empirical or non-empirical origin. Empirical politicians relied on practice and experience as opposed not to a priori cognitions or faculties, but to a systematic theoretical apparatus of any sort. I conclude that, although the early modern contrast between empirical and rational politicians bears some resemblance with the distinction between rationalists and empiricists, it cannot be a significant source of the latter distinction. Do you find this claim plausible? Let me know by posting a comment. This is the second post in Dr Gerhard Wiesenfeldt‘s series on speculative and experimental philosophy in early modern universities. In my last post, I wrote about Johann Christoph Sturm’s experimental philosophy and his eclectic approach to speculative philosophy. A very different route to natural philosophy was taken by his colleague and friend, Burchard de Volder. De Volder was professor of philosophy at Leiden University and in 1675 became the first university lecturer to be officially charged with teaching ‘physica experimentalis’. While hardly known today, he was considered an important natural philosopher during his lifetime, he also was a correspondent of Newton, Leibniz and Huygens (who considered him to be the only other Dutchman to have understood Newton’s Principia). When he started teaching at Leiden, he was a clear-cut Cartesian with little inclination for experimental philosophy. He took up experimental philosophy only after the controversies on Cartesian philosophy at Leiden had reached such a level that the university (and in particular the faculty of philosophy) was seriously disrupted in its working. His decision to introduce experimental philosophy was probably motivated both by political considerations (the Cartesians at the university were under serious pressure and de Volder had reasons to fear being expelled) and by the urge to find ways of teaching philosophy that would not lead to conflict and even physical violence. In this he was supported by his conservative anti-Cartesian colleague Wolferd Senguerd, who started teaching experimental philosophy shortly after de Volder had began his lectures. While de Volder’s experimental lectures were largely based on Boyle’s New Experiments Physico-Mechanicall with some mathematical splashes from Stevin, he continued to teach speculative philosophy based solely on Descartes’ Principles of Philosophy. De Volder explicitly rejected Sturm’s eclectic approach and argued that speculative philosophy needed to be based on certain, universal principles, such as the Cartesian principle of clear and distinct ideas, in order to create a comprehensive philosophical system. Experimental and speculative philosophy had thus different foundations and remained largely unrelated. Occasionally, there were even contradictions between the two, when De Volder pointed out errors in Cartesian philosophy in his experimental lectures. Still, he maintained that natural philosophy needed to be developed in a systematic way, and that the Cartesian system was the best available. Yet, over time, his judgment on this matter changed. In the 1690s he argued that Cartesian methodology worked only in the res cogitans, i.e. in mathematics and metaphysics, but not in natural philosophy, as there was no way to establish clear and distinct ideas on the physical world with certainty. While de Volder rejected Cartesian natural philosophy, he did not take up any of the other systems. He remained reluctant about Newton’s Principia and was not persuaded by Leibniz’s attempts to win him over. Instead, he ended up with a methodology not too far from Sturm’s, in stating that one needed to divide the physical world into parts on which certain hypotheses could be developed. He did not elaborate whether this still left room for speculative natural philosophy, but it is hard to see how such a science could have been maintained under these principles. One of the contentions of these entries on university philosophy relates to the debate in this blog on the experimental/speculative versus rationalist/empiricist distinction. In terms of early 18th century university philosophy these distinctions are on an essentially different level. The distinction between rationalism and empiricism pertains to understanding philosophy as being divided into different schools (or sects). While one might describe rationalism and empiricism as the two biggest philosophical schools (or groups of schools), they were by no means the only ones – one philosopher at Helmstedt University counted no less than 26 different philosophical schools in 1735. The distinction between experimental and speculative philosophy, however, referred to different manners to practise philosophy independent of a particular school. Sturm and de Volder practised both experimental and speculative philosophy, but maintained that they were different enterprises, as did their students Wolff, ’s Gravesande and van Musschenbroek later on. At the same time experimental philosophy transcended philosophical schools, practised by Cartesians, Newtonians, Aristotelians, and Wolffians alike. This is the first of two guest posts by Dr Gerhard Wiesenfeldt on speculative and experimental philosophy in late 17th century universities. Gerhard has published on early modern Dutch science, the visual culture of experiments, science in popular movies, biographies of ‘fameless’ scientists and romantic self-experiments. He is currently working on the different local cultures of science in the 17th and 18th centuries and their mutual interactions. 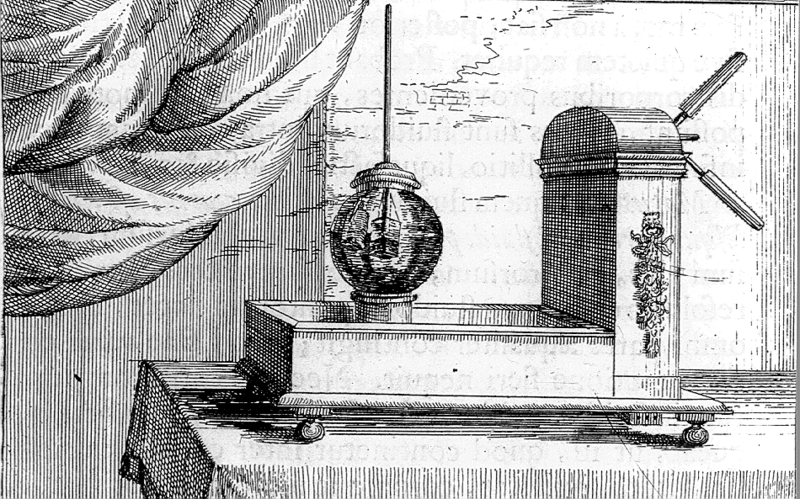 In late 17th century universities, experimental philosophy played a significant role, yet in a different manner to the role it played in the Royal Society. One of the traditional roles of universities had been to evaluate new knowledge and new knowledge systems and relate them to the existing sciences. In this context, the relation between experimental and traditional natural philosophy had to be addressed. Here, I want to discuss one of the various ways in which this relation was maintained, a way that became influential for the development of experimental philosophy in German speaking countries. Johann Christoph Sturm, professor of mathematics and philosophy at the University of Altdorf in central Germany, was probably the leading university-based German natural philosopher of the late 17th century: he wrote the most widely read textbooks and many of his students went on to teach natural philosophy at other universities. He first taught a full course on experimental philosophy in 1672 and published its contents under the title Collegium experimentale sive curiosum in 1676. As the title suggests, the book presents a style of experimental philosophy similar to the experimental natural history of the early Royal Society. It is divided into a series of ‘tentamina’, which describe either one experiment, or a series of experiments, or an instrument. What is of particular interest, however, is Sturm’s concern with the way speculative natural philosophy ought to be taught. 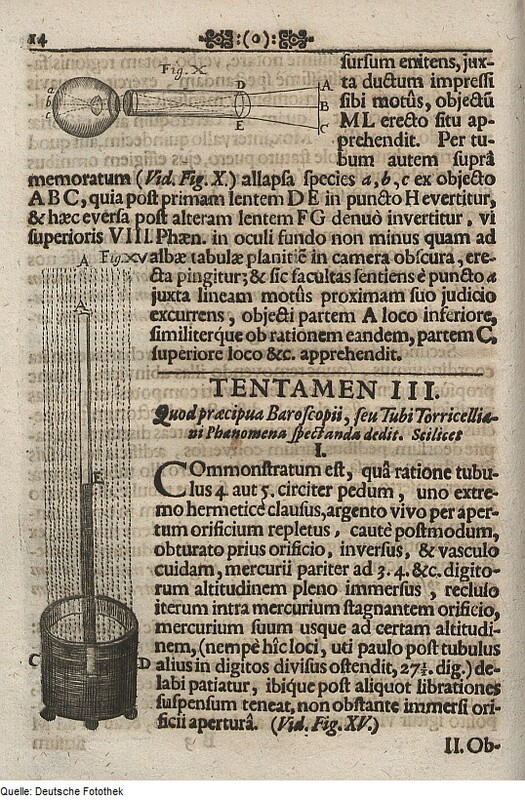 He wrote three different books on this subject, which show a development of the manner that he related speculative philosophy to experimentation: the Physica conciliatrix (1684), the Physica electiva sive hypothetica (1697) and finally the Physicae modernae sanioris compendium (1704). In the Physica conciliatrix, Sturm argues for philosophical eclecticism: given the variety of philosophical schools, it was improbable that one was correct in all cases, so speculative philosophy should not be based on one particular school (whether Aristotelian, Cartesian or atomistic), but take all existing hypotheses into account. While experiments would give some guidance in the matter, they could not solve the issue, because experimentation could not explain the causes of the observed phenomena (his earlier discussion of Henry More’s hylarchic spirit in Collegium experimentale exemplifies this issue for him). The Physica electiva (later re-edited by Christian Wolff) follows on from that position, the search for causes remains the domain of speculative philosophy and cannot be based on one school, precisely because all schools have been shown to be incomplete in their explanations. The eclecticism he develops in this book is one of methodological diversity. Just as mathematics has developed different and unrelated methods that can be applied to different mathematical problems, speculative philosophy needs a variety of methods that provide a way to choose from a range of hypotheses put forward to explain a particular phenomenon. To achieve this it was necessary to establish the principles on which these methods can be derived and justified, something that had already been established in mathematics. Philosophical analysis had to start with an account of the phenomena in question that was precise and true, but also included all circumstances. Then, all existing hypotheses explaining the phenomena had to be taken into account and analysed. Accounting for all phenomena was to be considered an argument for the truth of the hypothesis, contradiction by a single phenomenon refutes the hypothesis. Yet, even false hypotheses should be discussed further, as their refutation would lead to improved knowledge of the subject matter (see Michael Albrecht’s Eklektik for details on these principles). While the Physicae modernae compendium was intended as a textbook that would work out this form of natural philosophy, it contains an important methodological development. Whereas the Physica electiva presents the notion of a complete speculative natural philosophy, i.e. a discussion of all known phenomena and the selection of the most probable hypotheses for each phenomenon, the preface of the Physicae modernae compendium restricts the content of ‘textbook natural philosophy’ to those phenomena that can be predicted with certainty. Not all university philosophers went the route of eclecticism. In my next post, I will discuss the radically different approach that was developed by someone who was acquainted with Sturm from their common student days at Leiden University and later became one of his critics, Burchard de Volder.